A light and rich beauty oil for face, hair and body. PRESENTATION: Iris & transparent glass dropper bottle. Simply GORGEOUS. TEXTURE & SCENT: Medium weight oil with light young bamboo and green tea natural fragrance. SKIN TYPE: Ideal for all skin types – adjust usage to fit skin’s individual needs. KEY FEATURES: Infused Licorice Extract gently calms skin. Camellia Oil and Squalane nourish skin and seal in moisture, while 24-karat gold flake gives skin a sensual glow. Full body and hair application. QUICK REVIEW: Lovely. A truly lightweight oil that readily absorbs into skin and leaves a glorious glow (minus the grease). Works equally as brilliantly on hair and body. Founder Vicky Tsai creates another beauty ritual treasure: The star product from Tatcha’s Gold Collection, GOLD CAMELLIA BEAUTY OIL is a exquisitely formulated multi-purpose oil that absorbs quickly, doesn’t leave a greasy residue and has a beautiful green tea and young bamboo scent. It can be used as a facial oil, body oil or to add luminosity to the hair. Mix it into the MOISTURE RICH SILK CREAM for dry skin or over the DEWY SKIN MIST (my favorite application). I love facial oils. As someone who was troubled by oily skin, I find this affection unexpected. After years of using various serums (either water or silicone based) – I haven’t found anything to replenish skin’s natural glow (without acids) and balance like face oils. TATCHA GOLD CAMELLIA BEAUTY OIL performs exceptionally well – and while it is not a 100% natural oil formula (see ingredient list below), it has a coconut derived ester that has a light, silky feel on the skin without any greasy or heavy residue. It has a low toxicity and does not demonstrate any potential of skin/eye irritation or sensitization. Rub a drop or two on cuticles. Instant mani/pedi – even perks up old polish. Add a drop or two to warm water to soak fingers and toes before a DIY mani. A tiny dab on a cotton swab to clean away makeup mistakes or smudges. Blend with any moisturizer to give skin an extra glow and to increase hydration. Rub a drop between your fingertips and pat OVER makeup on cheekbones to naturally highlight and add a luminous glow. Add a few drops to your deep conditioner – your hair will sparkle. Use a drop to thin out a foundation that is too thick or opaque. Mix with concealer for a DIY tinted moisturizer. Share or give yourself a hand massage. Instantly get rid of ashy elbows and knees. Apply a small amount to hair before washing as an oil treatment. Other oils are normally thicker and do not absorb as well (not a bad thing – just better for different things) – so using them for other purposes are not as successful. I will say that very dry skins will need to use this with a traditional moisturizer like TATCHA AGELESS ENRICHING RENEWAL CREAM (apply oil over cream for best penetration). Overall, I loved the effects and results. Who doesn’t want naturally glowing skin? 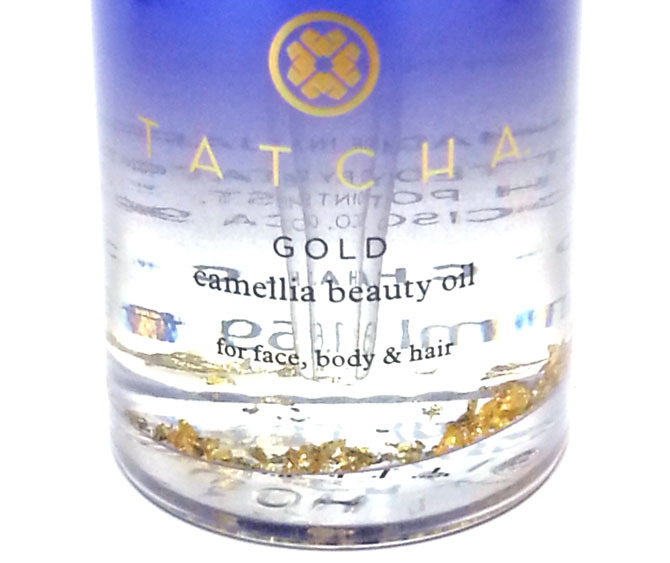 TATCHA GOLD CAMELLIA BEAUTY OIL is a worthy beauty investment. I can honestly testify that the brands gentle approach works. Everyone who has experienced the brand has seen a noticeable improvement in the appearance of their skin. Camellia Beauty Oil is a wonderful addition to the ritual and can be enjoyed by all. HOW TO USE: A few drops applied to the face, neck, décolletage and hair penetrate deeply and effortlessly, leaving skin and hair silken. **This product was submitted by Tatcha representatives for review consideration. This is not an advertisement for this product. All reviews and information gathered independently by Cosmetic Monster (or from press releases) – and no compensation is received based on the review outcome or sales generated from this review. 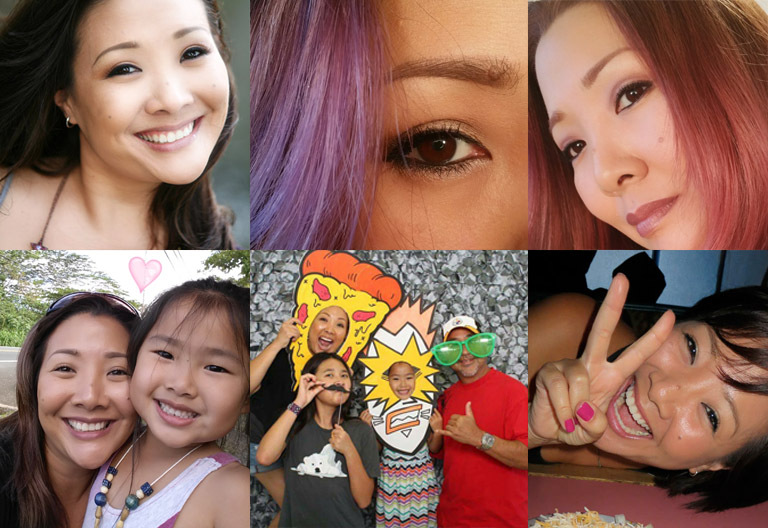 Cosmetic Monster pays WordPress to be AD FREE and does not participate in affiliate programs (only referral links for Hautelook and Birchbox yield compensation). Tatcha Skin Care Products are available at tatcha.com.